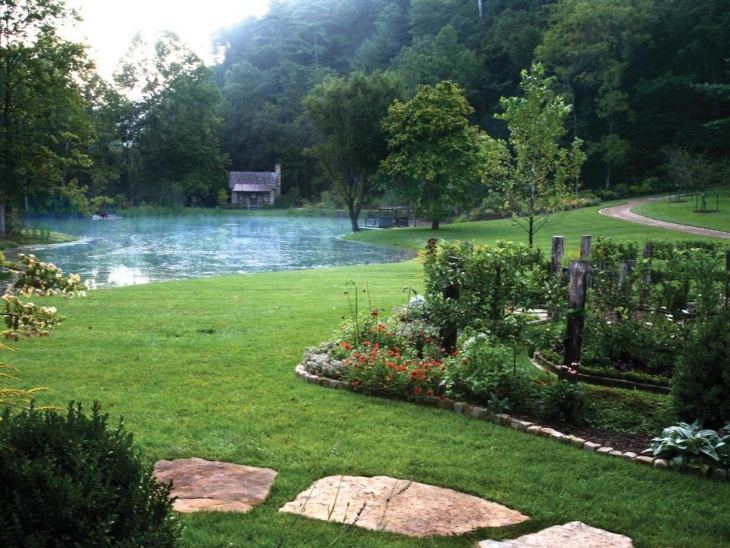 Rustic garden landscaping is all about being able to reflect the essence of naturally created surroundings. You can go for a well maintained casual country look or choose to make it look like an enchanting and unclaimed territory by integrating salvage yards. 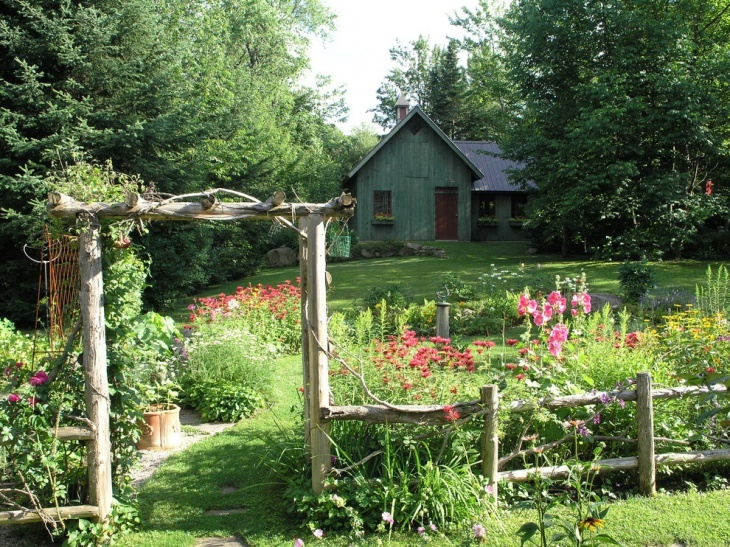 Here are some examples of a rustic garden from across the country that will really take you back a few years. 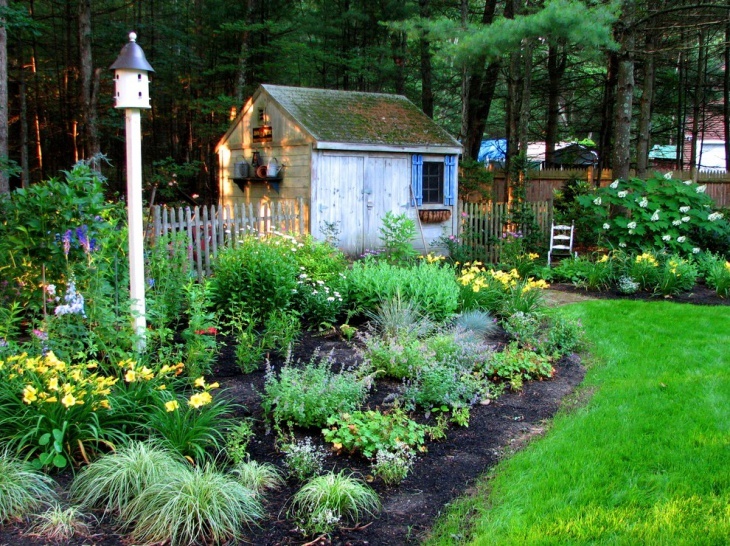 Be enchanted and take up cues to create your own unique backyard. 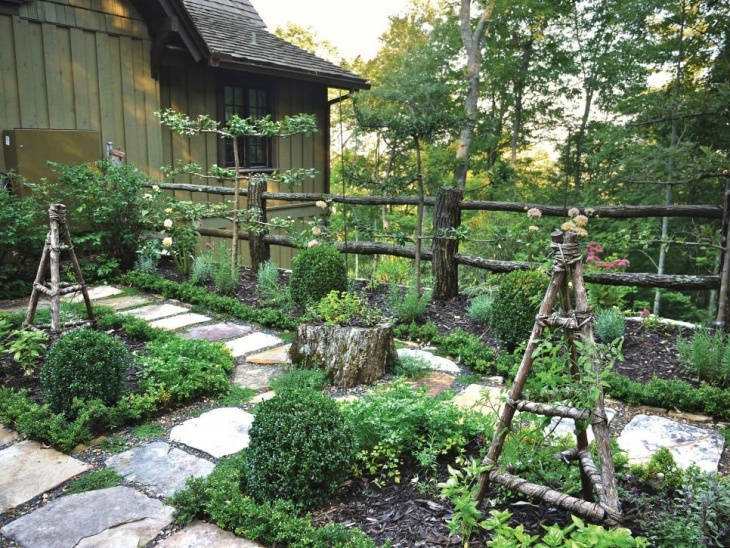 A rustic garden takes form when you choose to keep unattended elements lying around. In this case, the wooden logs bring in the raw appeal but also provide a functional element by barricading your favorite herbs and flowering plants. 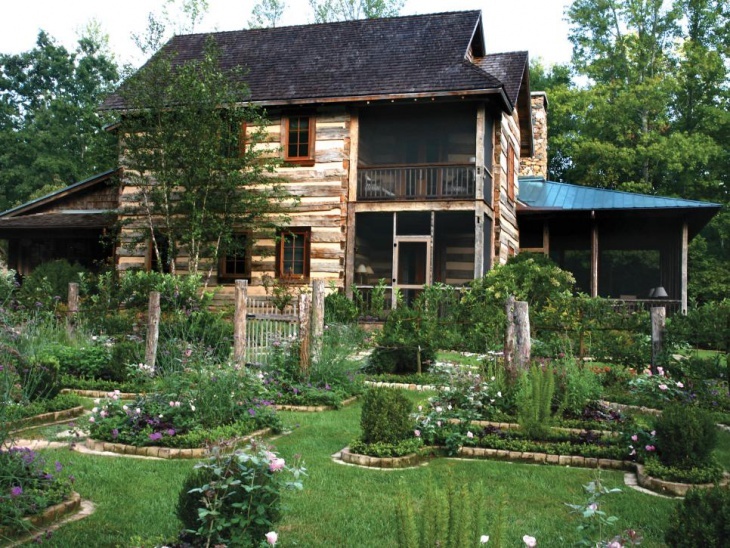 An old rustic garden portrays the charm of a countryside farmhouse. 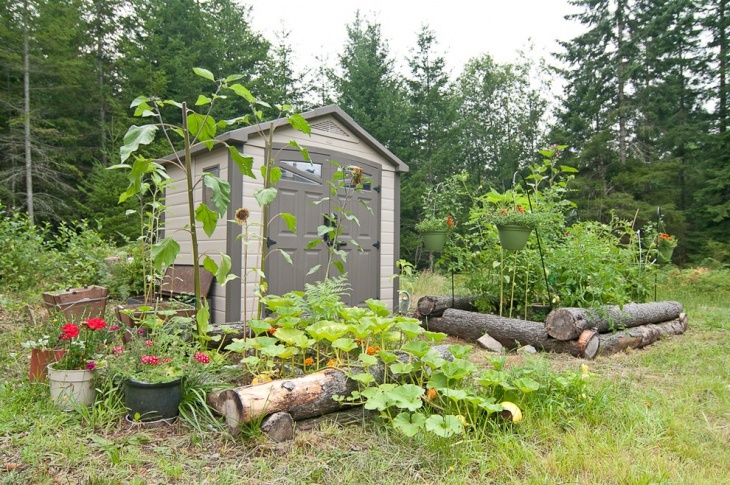 As you can see in this example, all the activity is centered on the small wooden cabin and limited to the quaint wooden fencing. 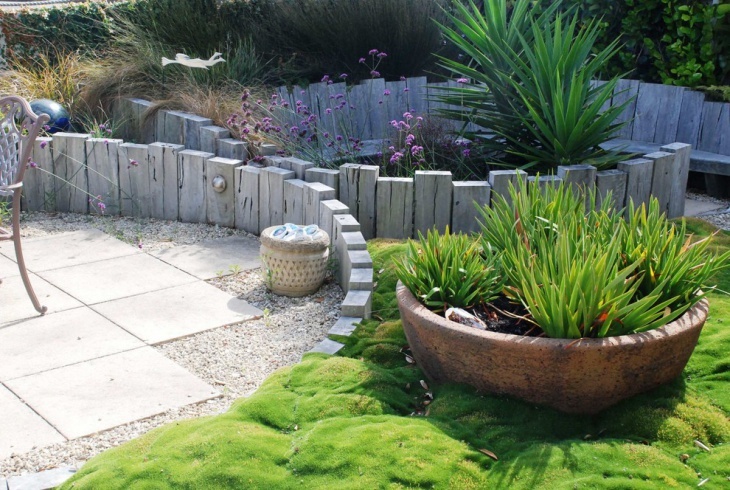 This garden could be an exciting and productive DIY project for any household. 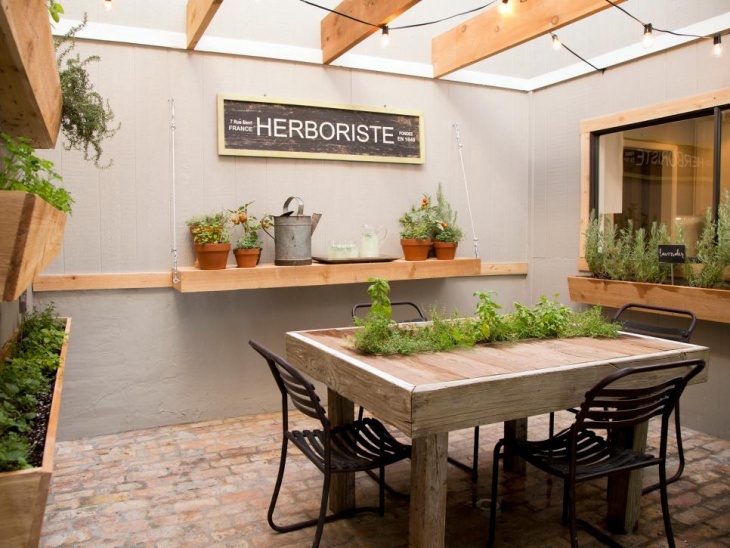 Apart from giving the looks, you can also choose to grow your own veggies and herbs! Having a mug of beer under the country sun is always an awesome experience. 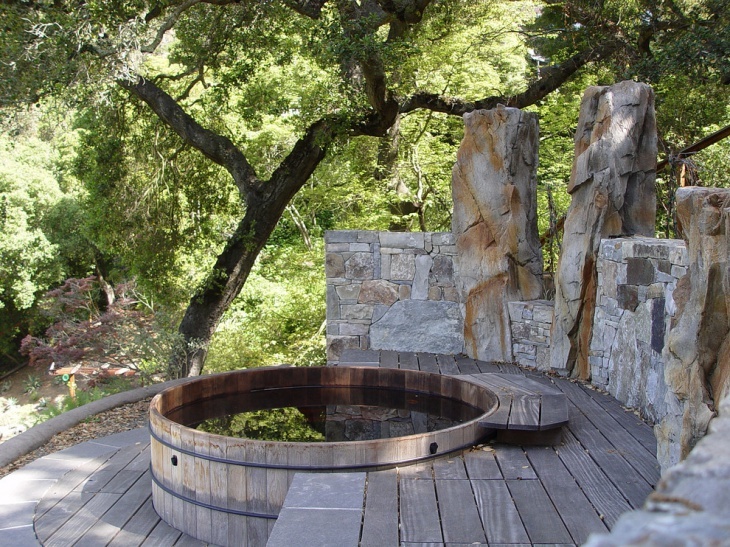 Well, you can easily establish the ambience in your own backyard. Go for dense plantation and keep small space free for putting up a log table! Even an old wooden chair will be the most exciting thing to have in this corner! 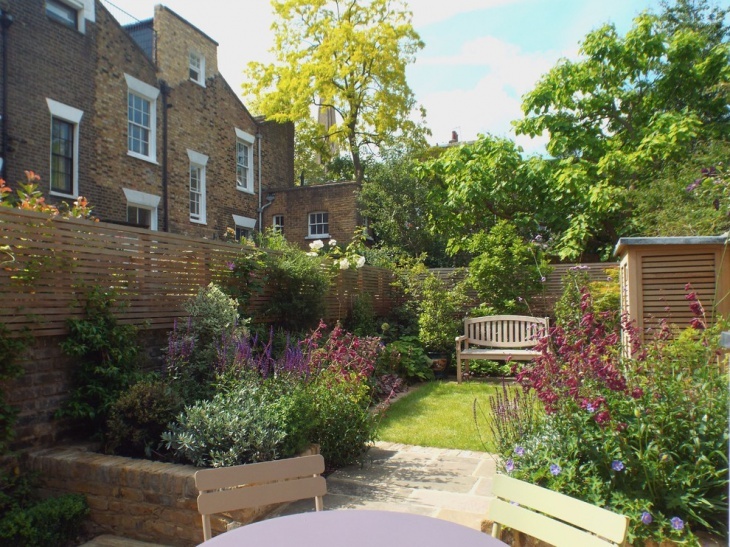 To create a unique experience in your rustic garden, you can always choose to put up a deck – a platform that is higher than your garden and allows you a good view of the surrounding. 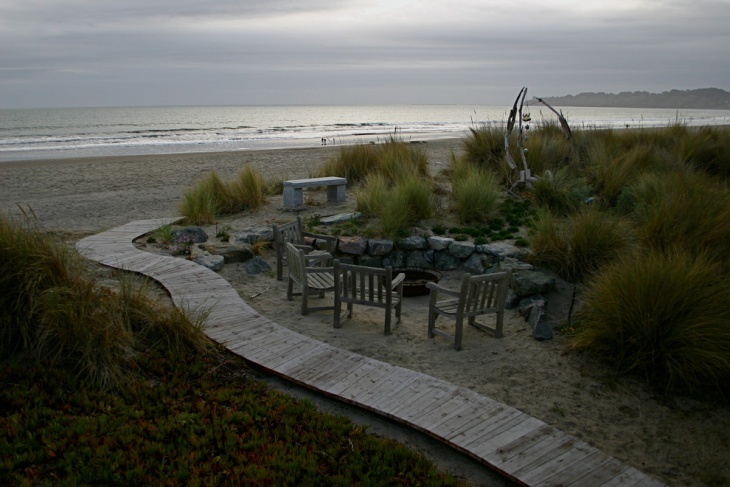 In this example, the garden deck is further livened up by creating an artificial water body. You can have some dainty gold fishes in there! 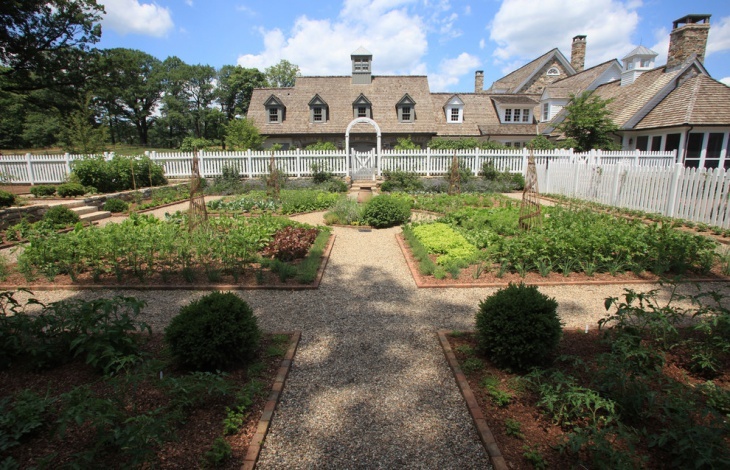 For people blessed enough to have a sprawling garden space in their backyard/front yard, it could be an exciting opportunity to create a highly rustic garden. 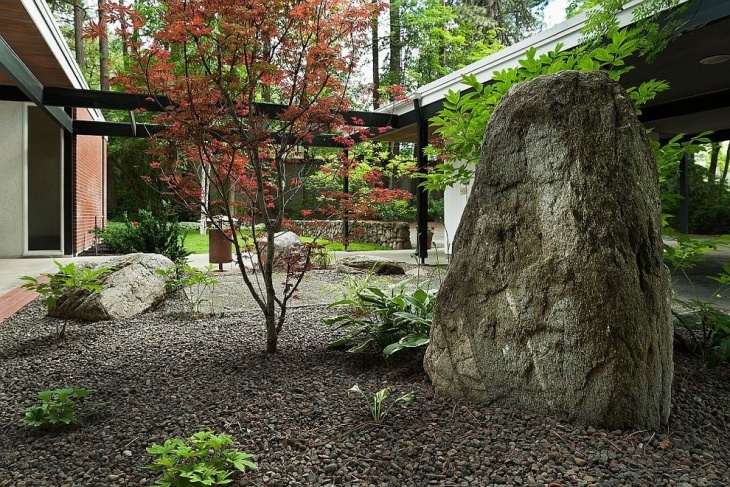 The landscaping can get a sequence of layout for different type of bushes and foliage. You can even create a rustic bamboo barricade all around for a perfect farmhouse ambiance. 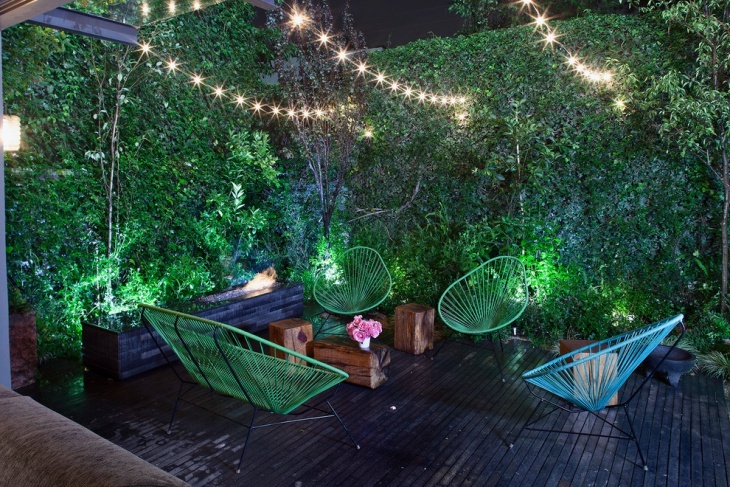 A rustic garden can be surprisingly lit up using outdoor LED. Several unique fixtures are available in the market. 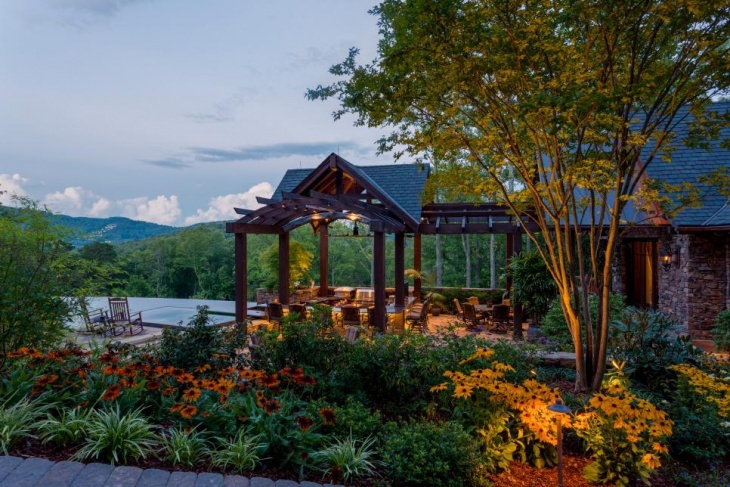 Depending on your landscape and your requirement for lighting you can go for warm fluorescent LEDs on poles and also have rows of cherry light bringing in a mood of celebration all throughout the year! Do get ready for frequent party requests! 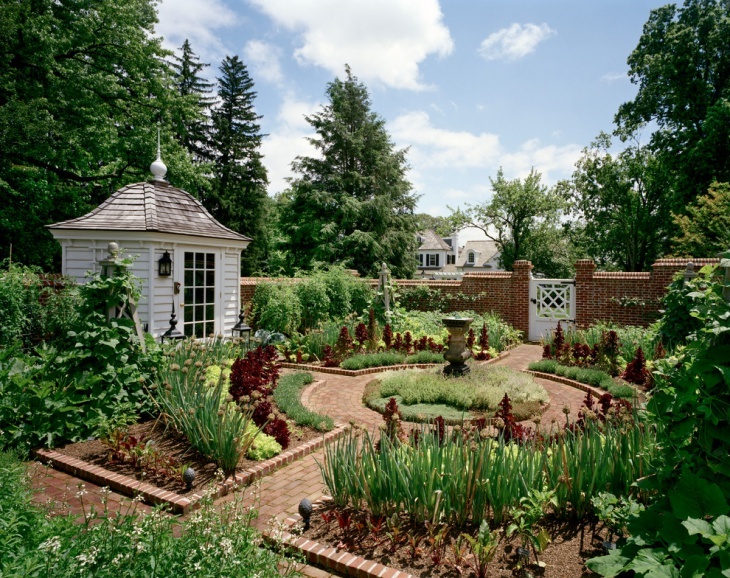 With the right landscaping, you can even opt for an old world outdoor garden in your front yard. The design in marked by patterned layout and planning in a different type of foliage in symmetry. 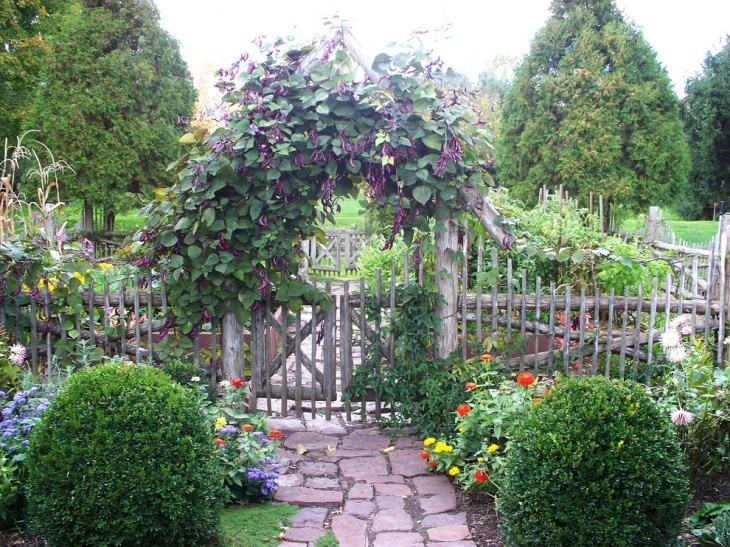 Fences are among the top highlights of any rustic garden. 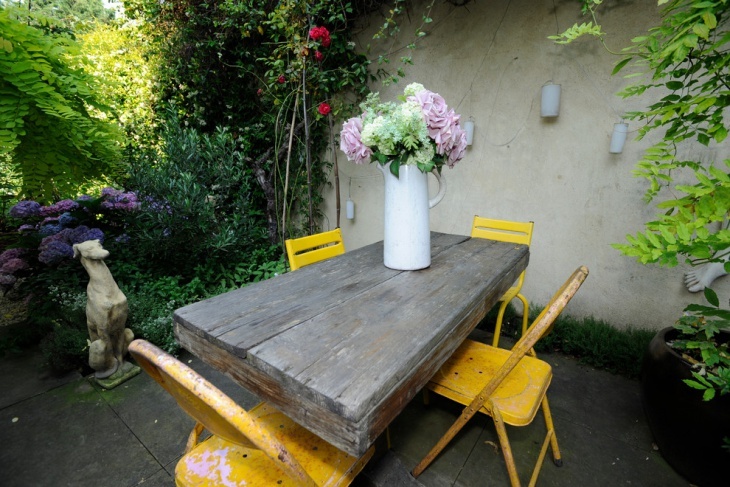 You can choose from a variety of wood to go with the gardening theme. Well, it could also be most exciting DIY project in weekends. 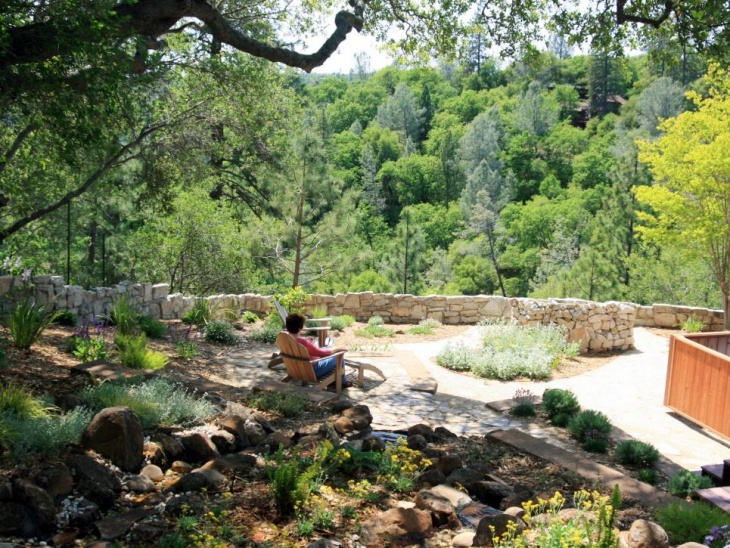 A rustic garden is a perfect opportunity for families and friends to have their own personal time. A great opportunity for outdoor picnics and get-together, you will not have to hunt for locations in nearby parks! 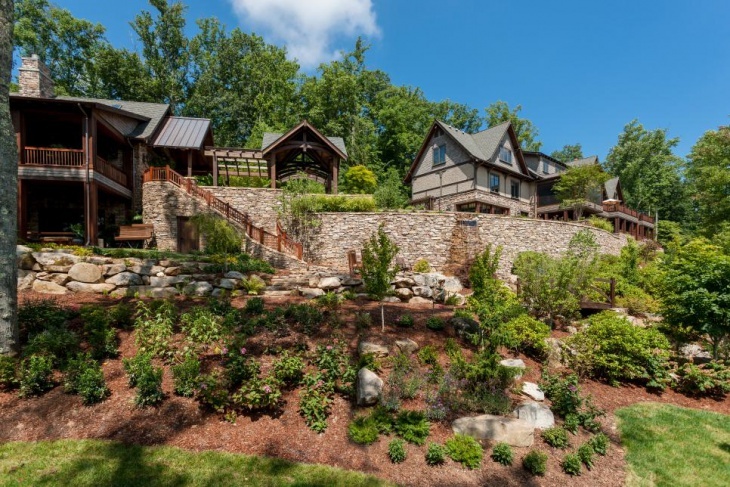 Farmhouse owners across the globe have created wonders using naturally available raw materials to create pebble gardens, rock gardens, rustic garden with water bodies/fountains and even rooftop garden.